You knew this was coming, didn't you Jay Williams? On Saturday, No. 8 Kentucky and No. 9 Kansas faced off in what turned out to be an instant classic. In the end, though, the Wildcats came away with a 71-63 win. Before the opening tip, however, ESPN's Jay Williams rode in on a horse and predicted Kansas to win. As you might imagine, UK let Williams have it after their win. Though this one was a see-saw battle, Kentucky was able to make the necessary plays late to come away with the W. As for Williams, he'd be wise to think twice before picking against the home team for future contests. As awkward as it must have been for him leaving the arena knowing he was dead wrong? Probably not. It turned out to be a Saturday to remember for the Wildcats. 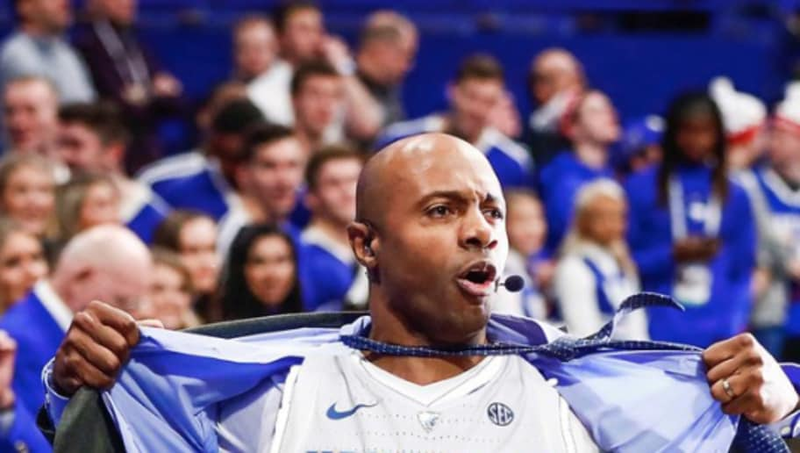 For Jay Williams, not so much.